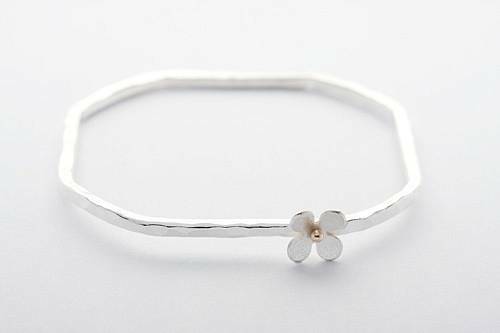 This unusual hammered solid silver square bangle is enhanced by a tiny textured daisy with a rose gold centre. 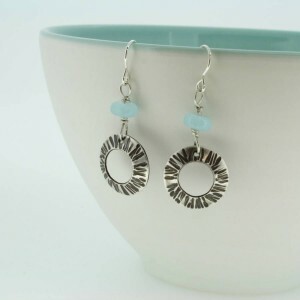 Handmade by Carole Allen Jewellery. 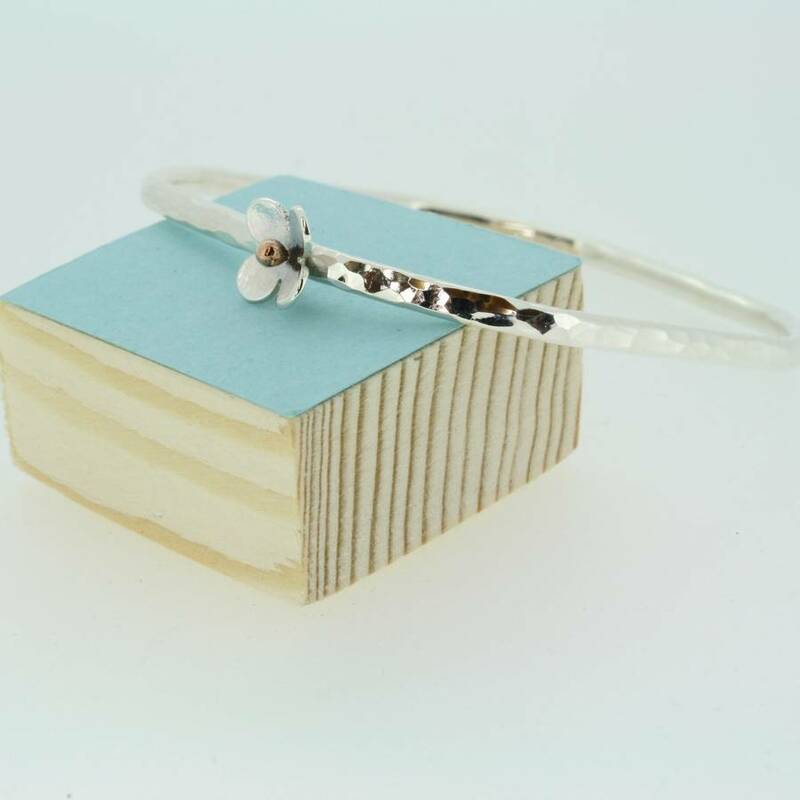 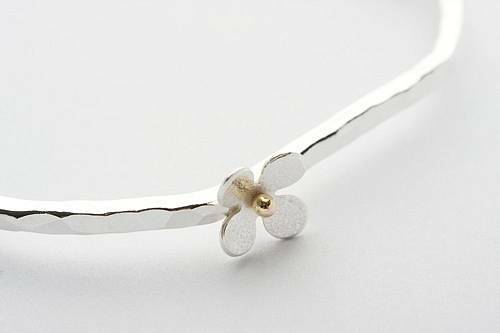 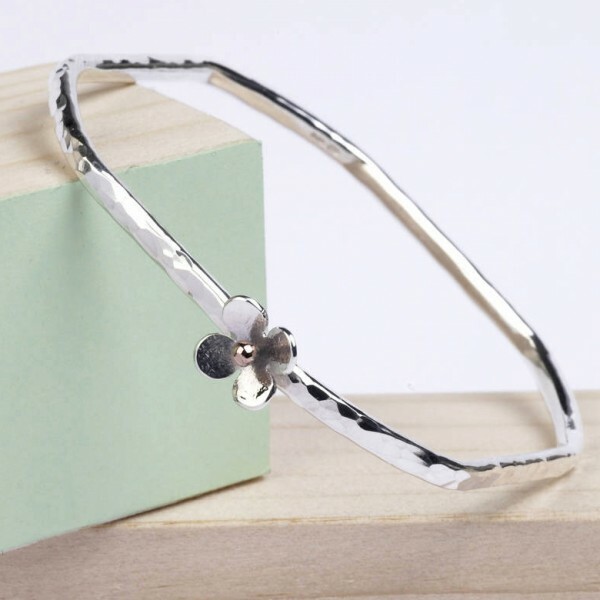 This lovely bangle is a perfect gift for any woman who appreciates contemporary handmade jewellery. 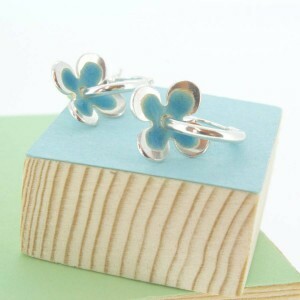 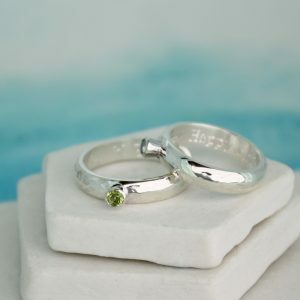 Pretty as a picture, they look even better if two are worn together.